Little Falls, NY-Mrs. Lena Mae Dager, age 88, who has been residing with her daughter, Kathleen Daley, for the past 15 years on Davis Road in Little Falls, passed away peacefully on Monday, February 5, 2018 at Valley Health Services, Herkimer. She was born on Jan 31, 1930 in Salisbury, daughter of the late Irving and Vera (Johnson) Nelson and educated in Salisbury schools. On October 21, 1948, she was united in marriage with Andrew Dager, Jr., who passed away October 1, 1999, after 51 years of marriage. Lena was last employed with Daniel Green, Dolgeville. Lena was an avid bingo player and loved to try her luck at the casino. She was proud of the fact of traveling to Las Vegas fifteen times. Survivors include her beloved family her seven children, Kathleen Daley and husband Clinton of Little Falls, Evelyn Gould of Ava, NY, Ronald Dager and wife Beverly of Dolgeville, Cynthia Roth and husband Joe of Texas, Randy Dager of Little Falls, and Jan Dager of Salisbury Ctr. ; a brother, George Nelson of Dolgeville; seventeen grandchildren, many great grandchildren and seven great great grandchildren; in laws, John Lemke of Salisbury; Rita Kelly of Utica, Kenny and Joanne Dager of Port Leyden; many nieces, nephews and cousins. 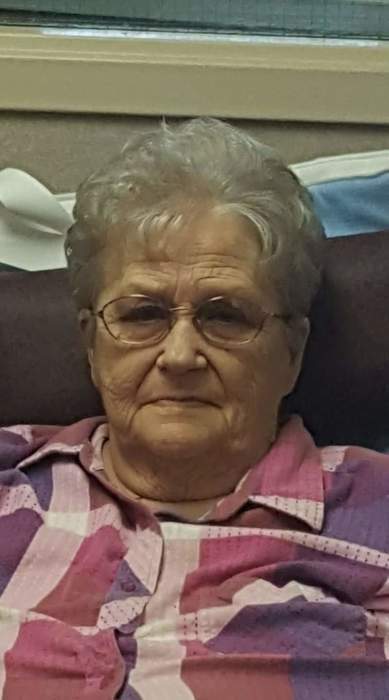 She was preceded in death by a daughter, Sherry Lemke in 2008; a grandson, Ronald Dager, Jr., and by two infant granddaughters, Tessa Dager and Alishia Dager. She was also predeceased by her sisters, Evelyn Gage and Ellen Jodway, by a son in law, Robert Gould and by her beloved canine companion, Radar. Per her wishes, there is no calling hours. Relatives and friends are respectfully invited to a graveside service to be held a time to be announced in the spring at Curtis Cemetery, Salisbury. Kindly consider memorial offerings to the Alzheimer’s Association. The family would like to offer their deepest gratitude to the caring and loving staff of Valley Health Services, Herkimer for their kindness and compassion during this difficult time. Mohawk Valley Funerals and Cremations, 7507 State Route 5 (town of Manheim) between Little Falls and St. Johnsville, 315-508-5131, has been entrusted with Lena’s funeral arrangements. To offer an online note of condolence to the family or light a candle, click above.